Black History is a living history composed of the past, present and things to come. In New Orleans, there’s plenty of each. From the neighborhoods and streets you stroll, to the dances and songs you sing, and even the dishes you eat - Black History has and continues to the pioneer the culture of the Crescent City. 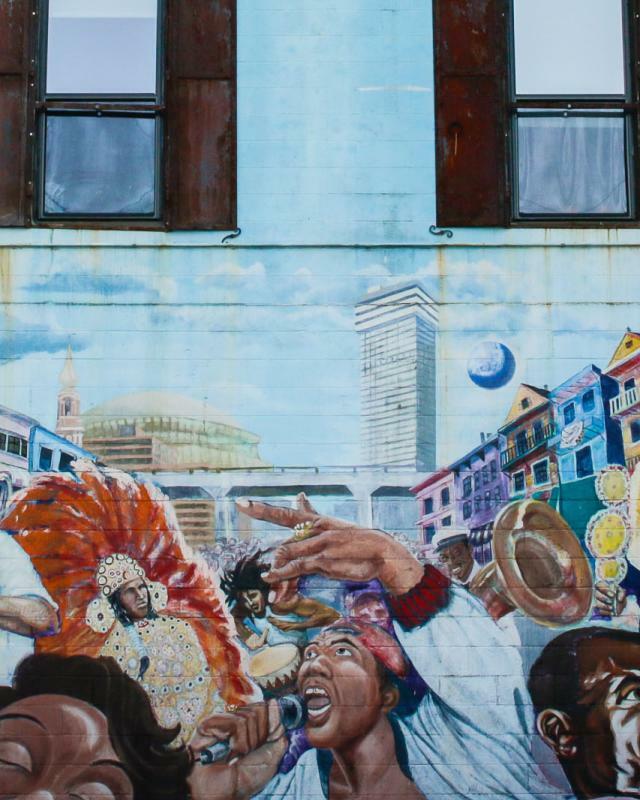 Let this Black History Itinerary not only guide you through an unforgettable visit to NOLA, but explore the city’s hidden history that has shaped its present. Home to a number of phenomenal African-American chefs and legendary cuisine New Orleans takes great pride in the food they serve. Take a look at this short list of must-try, black-owned restaurants. 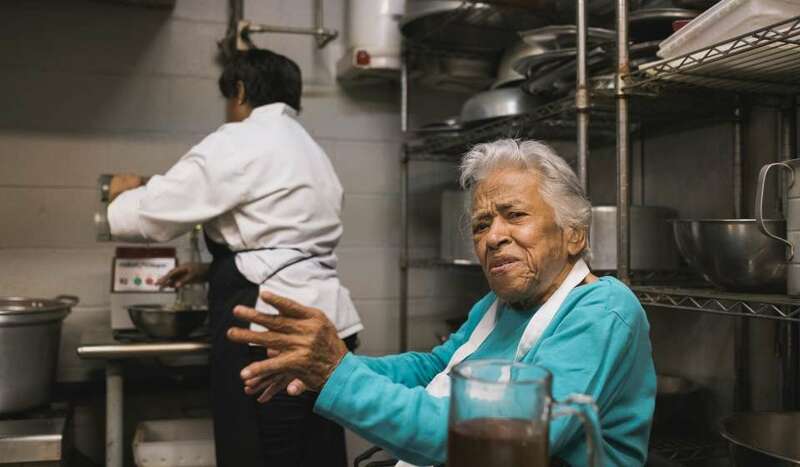 In addition to its famously delicious cuisine, and its matriarch and head Chef Leah Chase, Dooky Chase’s restaurant played a vital role in the Civil Rights Movement. At the corner of Orleans Avenue and North Miro Street, Dooky Chase held and fed countless numbers of Civil Rights activists and revolutionaries. Today, the family-owned restaurant remains at its original intersection serving award-winning cuisine to a host of locals, visitors, politicians and public figures. Don’t just make President Barack Obama’s mistake of adding hot sauce to the gumbo before you try it–the iconic chef famously scolded the 44th president for doing just that during a 2008 visit to the restaurant. I could say that Beyonce and Jay-Z dined here and that would be enough, but The Munch Factory’s famous patrons don’t just happen by accident. Owned and operated by Chefs Jordan and Alexis Ruiz, this Garden District eatery serves famous Creole favorites in an atmosphere that makes all guests feel like family. Black love is black history and the Munch Factory has and shares plenty of it. Nestled within New Orleans&apos; Lower 9th Ward, Cafe Dauphine specializes in southern comfort food. 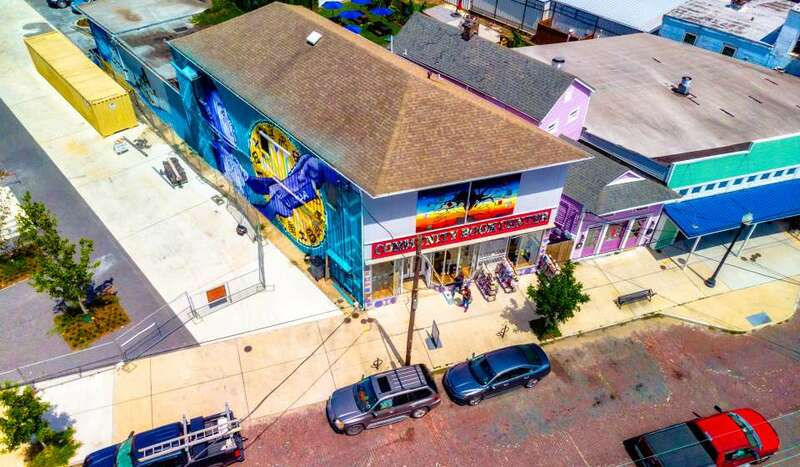 Less than a mile from the Lower 9th Ward Living Museum and the House of Dance and Feathers, this casual neighborhood eatery is the perfect place to grab a bite after a day of exploring the historic neighborhood. Enjoy favorites like the Creole Pepper Fish and the Stuffed Shrimp Plate with a side of New Orleans Red Beans. Cameroon with a taste of the Crescent City is what you’ll find at Bennachin. This French Quarter favorite of travelers from far and wide specializes in Cameroonian and Gambian cuisine. Fu-fu, Jollof rice and an assortment of other East African staples can be found here. This is just a small taste of African-American cuisine in New Orleans. For a full list of Black-owned restaurants to try during your next visit, click here. Touring and museum visits are great ways to dive into New Orleans’ Black History. What might seem like a simple tradition or a regular attraction oftentimes is filled with a host rich heritage and historical context. Check out a few of the best places and people to learn more about Black history in New Orleans with. Highly recommended by The New York Times, Judy Geddes Bajoie is the owner + tour curator of Tours by Judy. A former history teacher and New Orleans native with southern hospitality, Judy’s tours are a true experience for her participants. Her Civil Rights Tours explore several events that foreshadowed the national Civil Rights Movement. Expect stops at Congo Square, The Mahalia Jackson Theater of Performing Arts, Homer Plessy Way and much more. A truly fascinating and mostly hidden part of New Orleanian Black culture is Mardi Gras Indians. The footwork, beading, and second lines display the labor of love that these individuals pour into their crafts and culture, and the results are truly breathtaking. 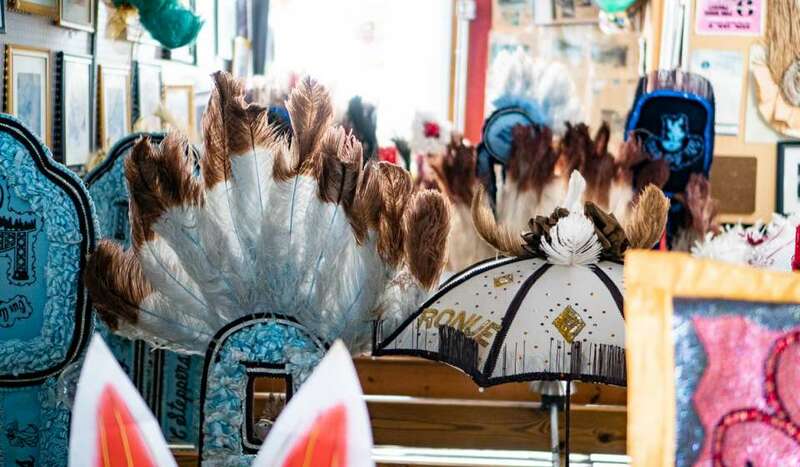 The Backstreet Cultural Museum, Treme and Mardi Gras Indian Cultural Tours and the House of Dance & Feathers are all amazing, black-owned resources to learn more. The George and Leah McKenna Museum of African-American Art collects, exhibits and preserves a wide selection of African-American artwork. Its boutique-style space makes for intimate viewing. Similar in style, Le Musee de fpc is a house museum dedicated to the legacy of free people of color. The first solo project by local artist Brandan “B-mike” Odums, Studio Be is a powerful warehouse installation that explores blackness from a local and national lens through visual art. Throughout the year, the space is also host to a number of black-business markets and Kwanzaa celebrations. Stop by and explore the collection individually or book a group tour with B-mike himself. The New Orleans African American Museum is dedicated to protecting, preserving, and promoting through education the history, art, and communities of African Americans in New Orleans and the African diaspora. The museum reopened in 2019 after a 6 year closure and $2 million renovation. Just short of an hour’s drive outside of the city, Whitney Plantation is worth the trip. The plantation museum prides itself on being the only plantation in Louisiana with a focus on slavery. Its buildings, exhibits and memorials are all first person narratives of enslaved Africans. Guided tours by Senegalese historian Dr. Ibrahima Seck, are raved about by locals and visitors alike. For more heritage tours, see here for a full list. Known as the oldest African-American neighborhood in the U.S., is filled with hundreds of years of history. While strolling its streets you’ll come across significant landmarks like St. Augustine Church, the oldest African-American church in New Orleans. You can walk through Congo Square in Armstrong Park, the place where enslaved people could gather to sing, dance, drum, and keep their African cultural traditions alive. While you’re in Tremé, remember that this is the neighborhood that some of New Orleans’ earliest jazz musicians began to play (and teach) the genre. 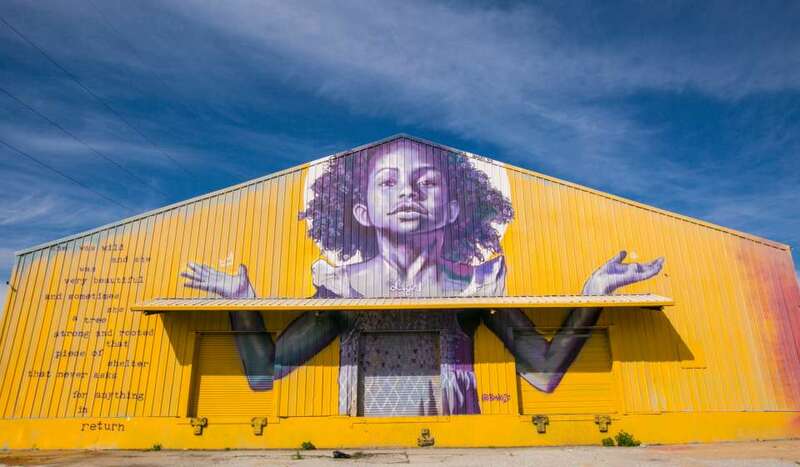 A former hub for the Civil Rights Movement has transformed into a stomping grounds for second-line parades, Mardi Gras Indians and up and coming black entrepreneurs. While in Central City you would be remiss to not check out the beautiful murals along O.C Haley Boulevard and Martin Luther King Jr. Blvd. While you’re there, stop in Ashe Cultural Arts Center and discover what monthly programming is taking place. Nestled within Esplanade Ridge, Bayou Road is a stretch of land filled with Black-Owned businesses, including shops, restaurants, clubs and more. You can easily spend an entire day swept away in all that they have to offer. Congo Square New World Rhythms Festival in the spring celebrates Mardi Gras Indians, music and dance in Armstrong Park. It’s the way to kick off spring in the Crescent City. Bayou Bacchanal is the official Carnival celebration of New Orleans. Enjoy socca beats, dancehall music, delicious Caribbean cuisine and eye-catching carnival costumes for an entire weekend. 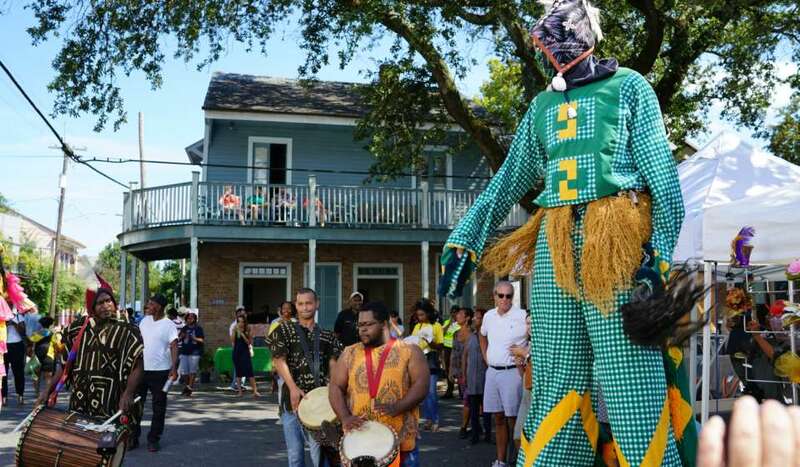 Intended as a fundraiser for the historic St. Augustine Church, Tremé Fall Festival has plenty of delicious food + drink vendors, live music, stilt walkers, and children&apos;s activities. For a truly unforgettable weekend, visit during ESSENCE Fest in July and make your summer sizzle! Essence Fest is the largest celebration of African-American music and culture in the country. Don’t miss out on Black Restaurant Week New Orleans leading up to Essence Fest and try exclusive and delicious eats all week long. By no means does this guide cover everything - there is endless history to learn about and honor. For more inspiration, head over to our Black-Owned Business Directory and explore.